Yesterday I attended a meeting of the Association for Strategic Planning Atlanta chapter. The presenter was Tom Chapel, Chief Evaluation Officer for the Centers for Disease Control and Prevention. His job is to make sure all the programs designed and implemented by the CDC actually cause the results they are intended to cause. The example he used during the presentation was a program to reduce lead poisoning in children. In his core diagram were the activities done by the CDC and others in the community, such as Conducting Screenings, Identifying Children with Elevated Lead Levels, and Training Parents. These were all the things under the control of the CDC and its partners. On the right side of the diagram were all the intended outcomes the activities were expected to influence, such as Changes to Cleaning Habits, and Reduced Lead Levels. One of the shorter-term results was a change in at-home behaviors of parents, and the longer-term effects were the health benefits. Each of the activities and outcomes were connected by arrows in cause-and-effect linkages. He called the diagram a logic model, since it showed the assumptions, or logic, behind how the program was expected to work. The same type of diagram can be used to model the expected outcomes of organizational change activities (in fact the speaker mentioned that the CDC has done logic models for internal initiatives like diversity and leadership development). The Control side would contain all the activities you are implementing, such as various communication vehicles, incentives, and training programs. On the Influence side would be all the behaviors, attitudes and culture changes your activities are expected to elicit. Once you create the logic model, you can test your assumptions. Will Activity A really cause Behavior B? What reinforcements might be required? What other factors might stand in the way? In his presentation, Mr. Chapel said to look for where the miracles are supposed to happen and unravel them. The purpose of the logic model is to gain clarity about the relationship between activities and their intended effects. Over time, by measuring the activities and outcomes, you can test the logic model to see if it’s true. 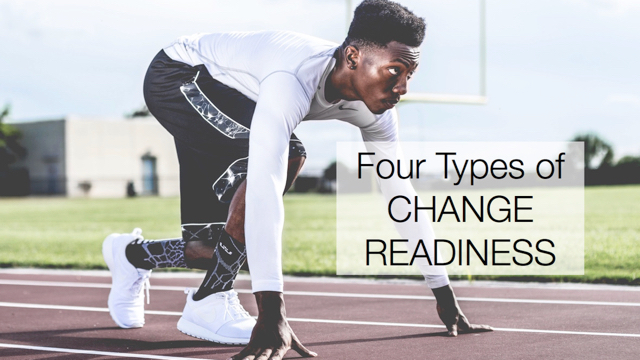 What are your assumptions about how your change initiative will create its intended outcomes?